I'm not going to lie, I didn't try these two particular cereals, but we recently came across two new Nature's Path gluten free cereals that we have not seen before. 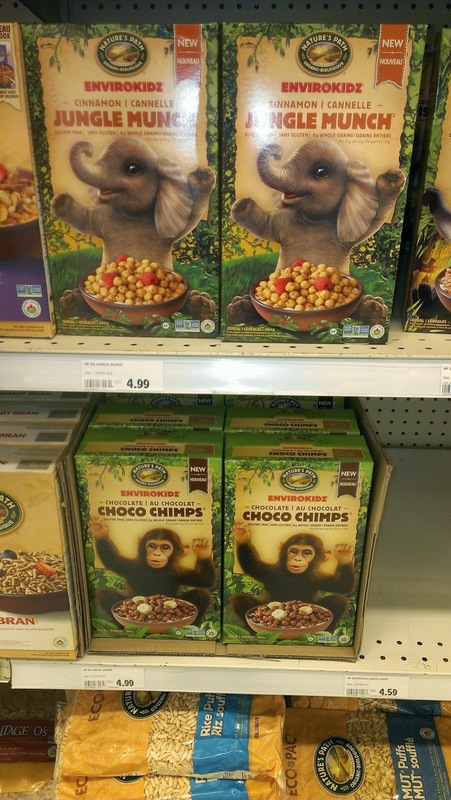 In the past we have bought Nature's Path EnviroKidz gluten free Koala Krisps, Panda Puffs, but have never seen Jungle Munch and Choco Chimps until recently. Hope you give these a try! They will definitely be a hit with the kids.